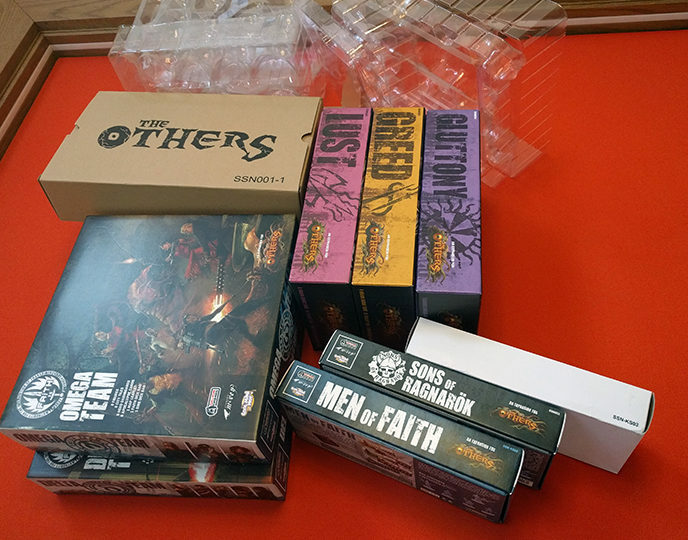 Hands down, one of my favorite “big box” CMON games is The Others: 7 Sins. 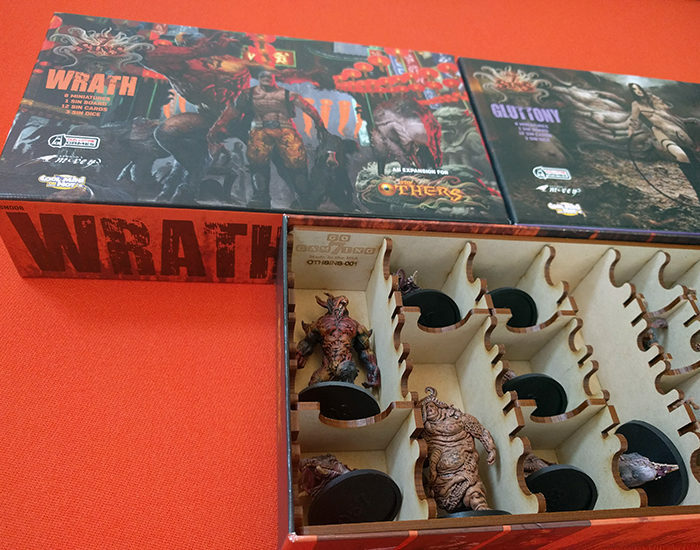 The sculpts are great, the artwork is gorgeous, and our group really enjoys the “Sins player” mechanic where one person’s entire job is to slowly lure his his fellow gamers down the path of corruption. 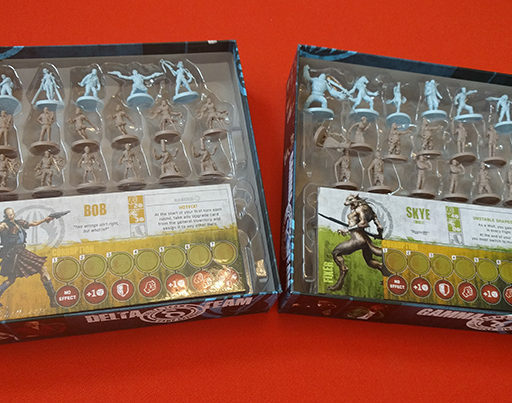 The game itself was made at a time when CMON had almost perfected their packaging formula. 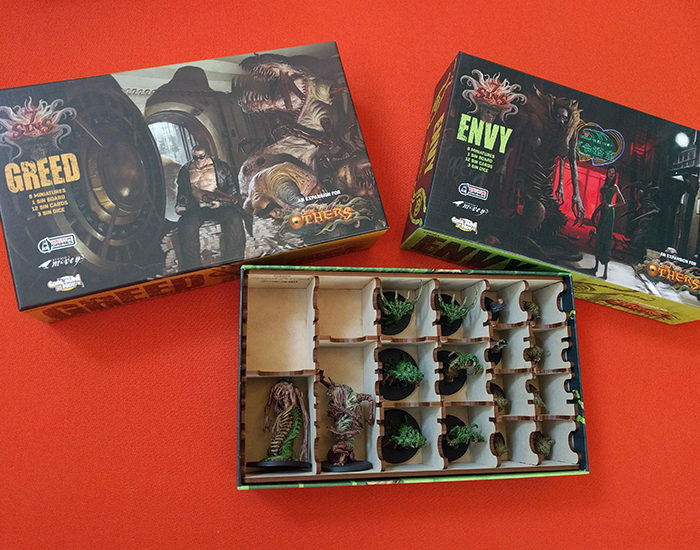 The miniatures in each box come with plastic trays that fit relatively snugly to protect them, and nothing in the box really moves or shifts. This is great when you’re transporting the game, or… well, any time you’re not actively trying to set the game up or put the game away. During these times, the packaging can seem to just be in the way. Especially if you’re like me and bought way too many extra dice packs for the off chance someone strings 15 Burst/Faith rolls together. 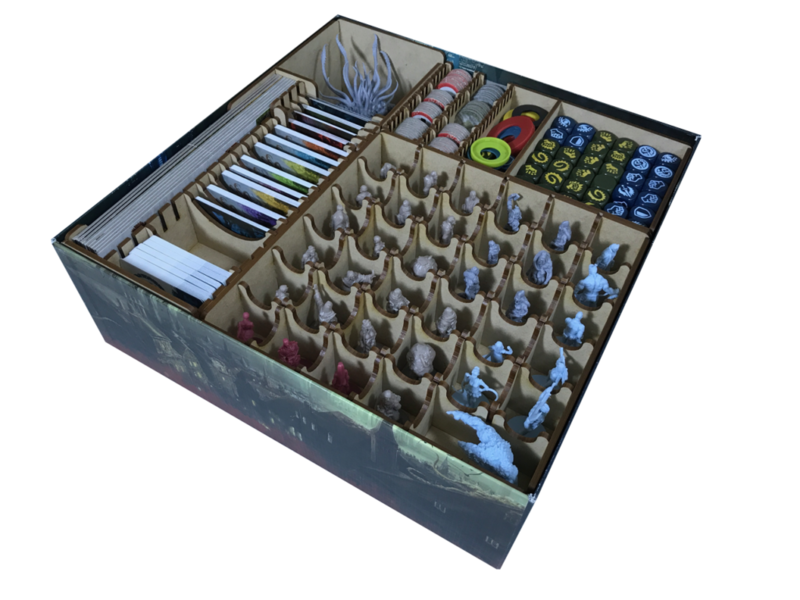 There just isn’t any room in the main box to fit extra dice, tokens, rule books, or expansions… and yes, there are quite a few of those even if you missed out on the Kickstarter extras. 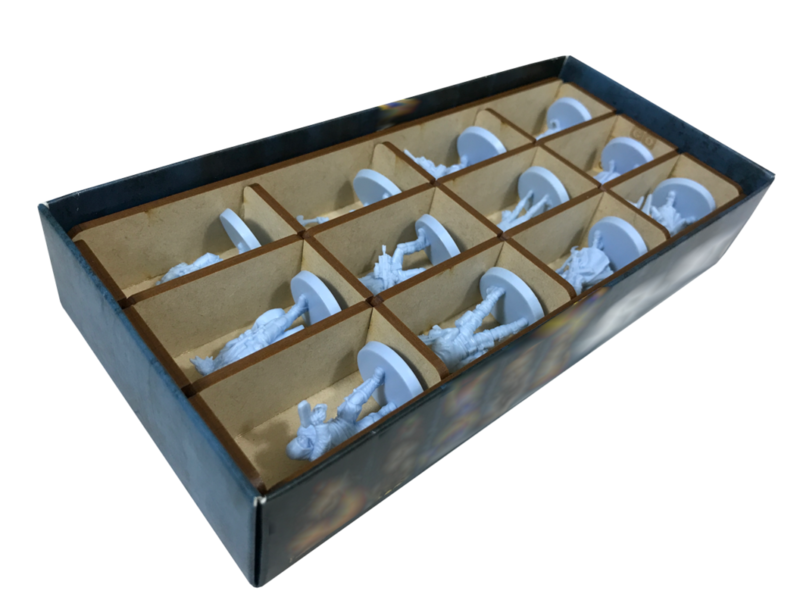 In all, The Others has almost 20 SKU’s which takes up quite a bit of shelf space and left me praying to the organizer gods for reprieve. The Others Consumes Two Entire Kallax Shelves! 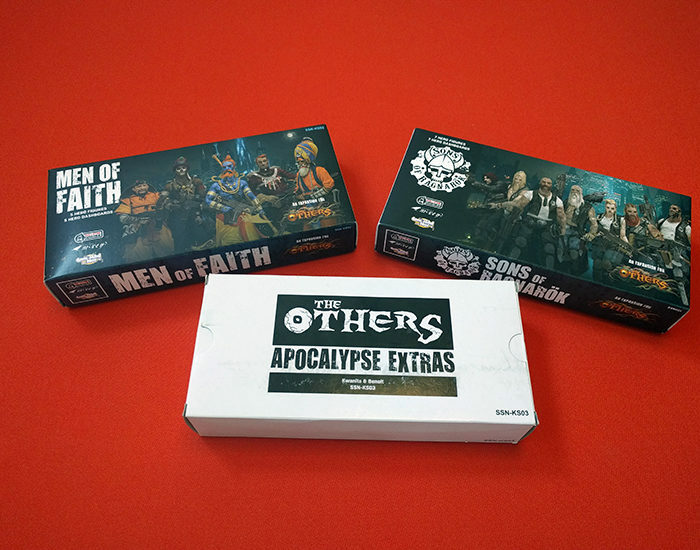 Fortunately, my prayers have been answered, the folks at Go7 Gaming recently released a new line of heritage inserts for The Others! 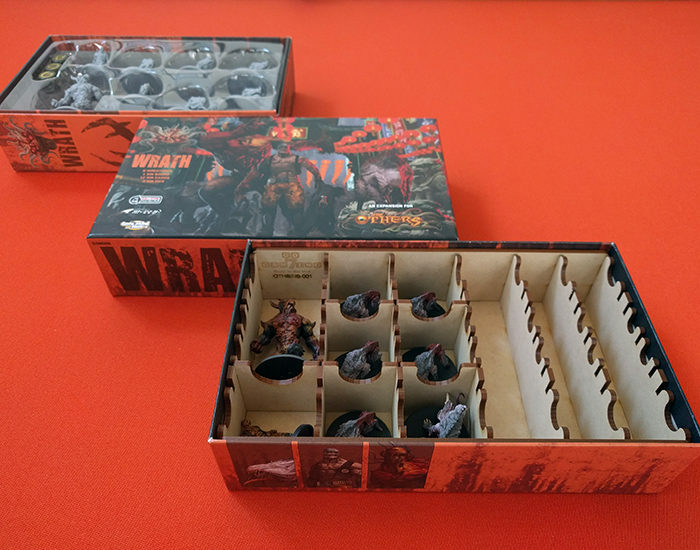 They have inserts to fit each of the Apocalypse, Base, Sin, and even Team boxes. 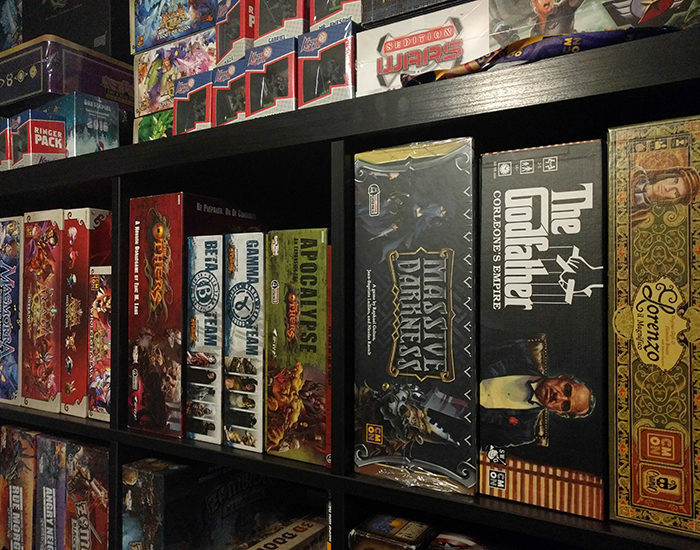 The press release said I could reduce this mountain of gaming boxes down to just 7, so I thought I’d take the challenge and let you know how well they really work. 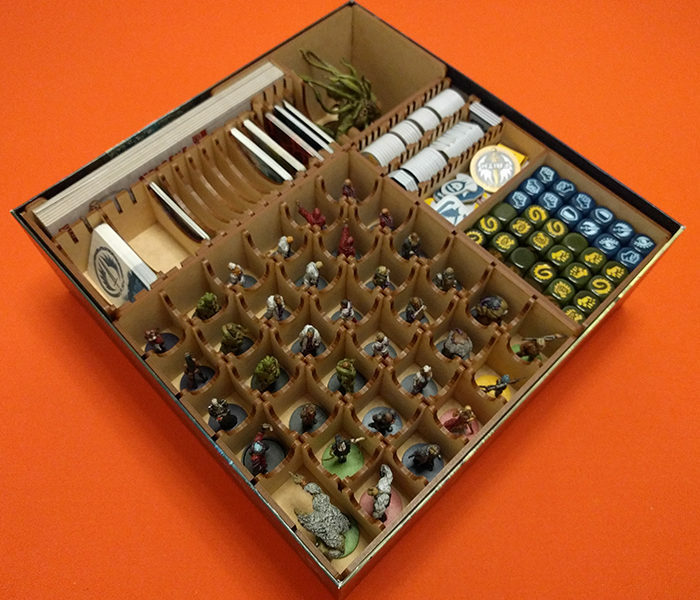 First up was the “base game” organizer. As you might expect, this one took the most amount of time to assemble clocking in at just under an hour. 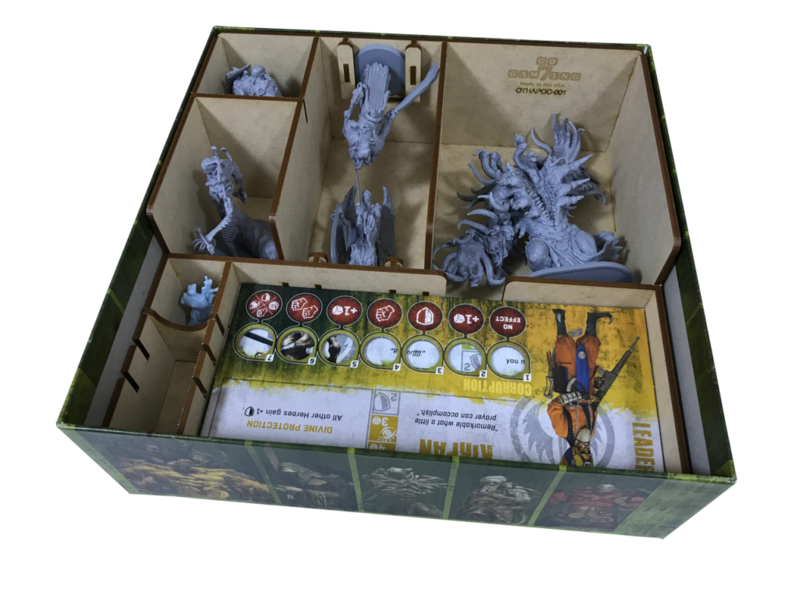 Not only is this the largest, but it also has the most pieces including the main organizer and 4 additional trays which are stackable/removable. 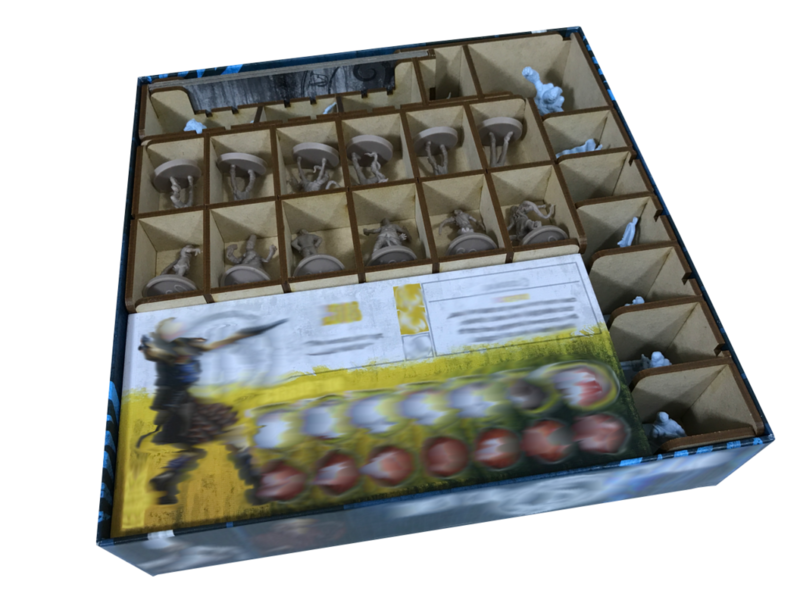 These trays will hold all of the basic components needed most every time you play the game such as dice, tokens, equipment, and sins cards. My favorite is probably the token tray which makes it so we never again have to sort through the pile of tokens included with this game. All in all, everything fit very nicely with room to spare and the lid even fully closes. Next were the “Team box” organizers. 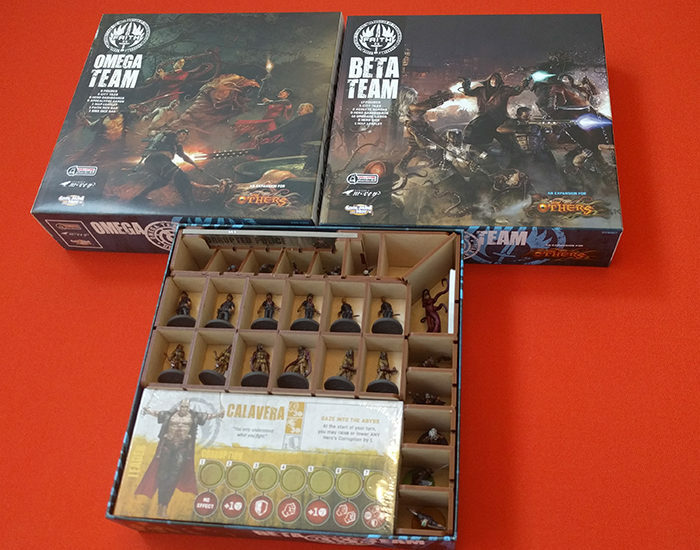 If you’ve never opened one of the team boxes, they look awesome but are about 80% packaging on the inside. 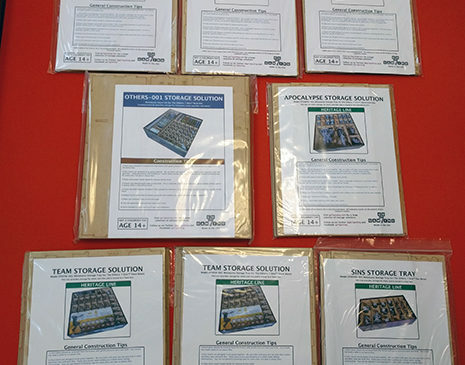 Team organizers assemble in around 20 minutes and consist of two main parts: the main organizer and 1 tray. 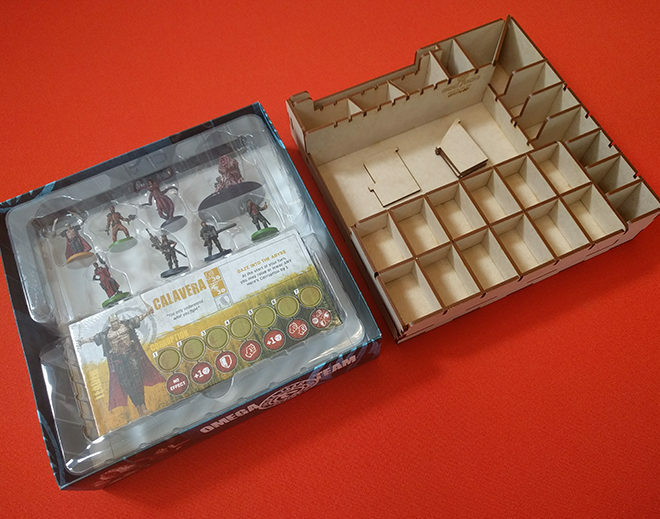 The really cool thing about these though is the dividers can be configured in many different ways and extras of each are included. Want to keep all your larger figures down the side? Great! Just put in fewer dividers. 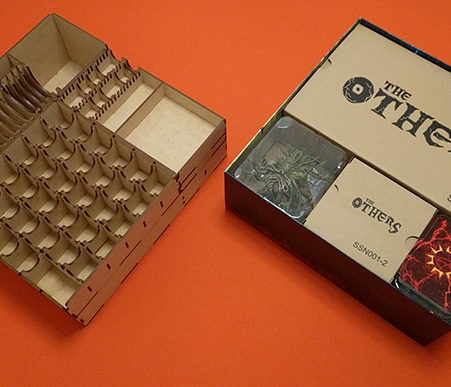 Change your mind and want to reconfigure the entire organizer? Great! The dividers aren’t glued down, so re-arrange them to your heart’s content. 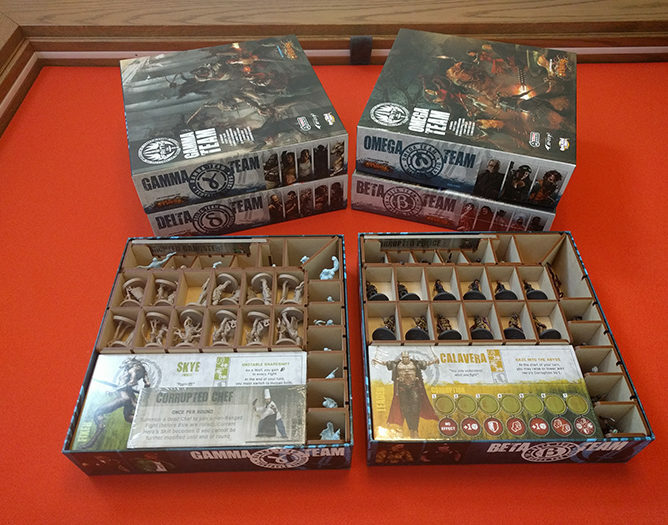 Using these organizers I was able to cut my number of team boxes in half, collapsing 4 boxes into just 2 boxes! Next up were the “Sins box” organizers. 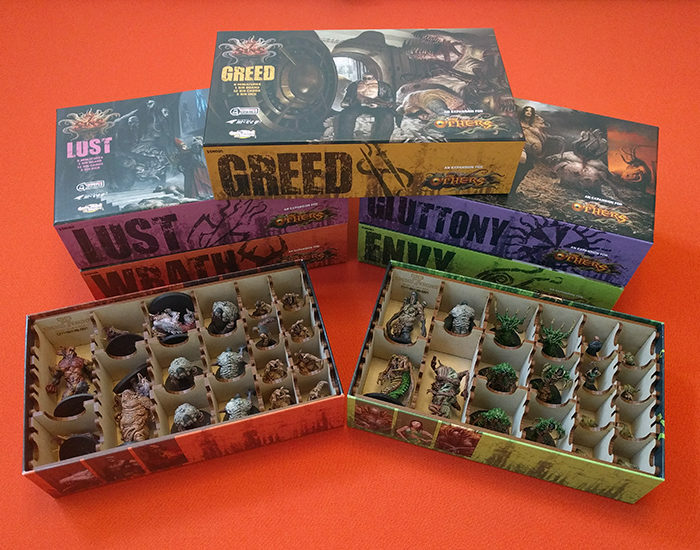 It would have been really cool if all of the Sins were originally packaged in a single box, but that just wouldn’t have been practical. Instead of being able to buy a single one for $20, we’d have to buy all of them at once for $100 which would probably discourage lots of folks. Anyway, these organizers definitely help pair them down. 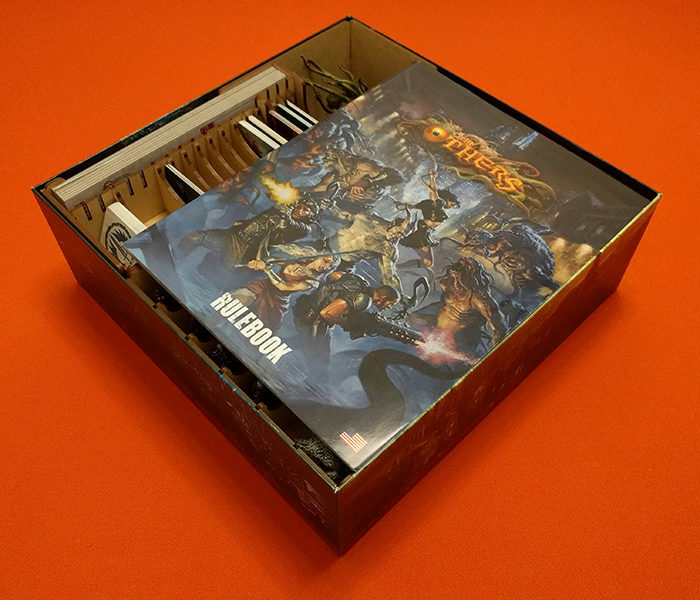 My goal was to fit two Sins’ worth of content into a single Sins box, and I’m happy to say that these organizers allow a little more than that! 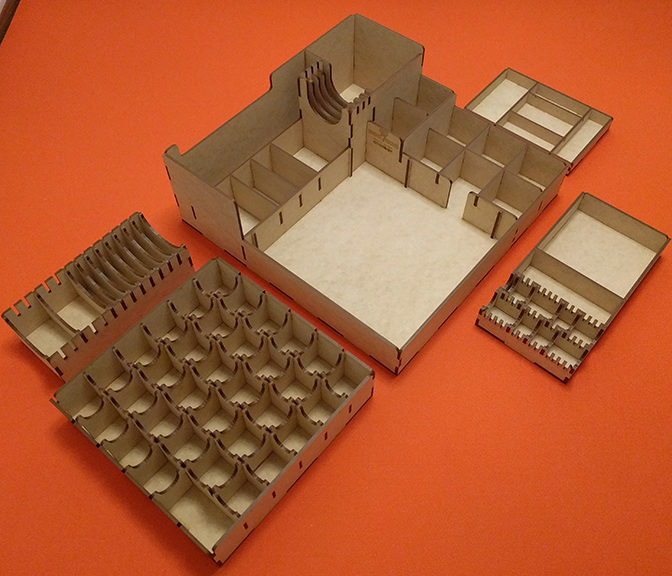 These assemble in roughly 10 minutes or so and the multitude of dividers can easily be reconfigured in most any manner you need. One of the best features is dividers in adjacent columns can be placed right next to each other, which is something organizers from other brands lack. 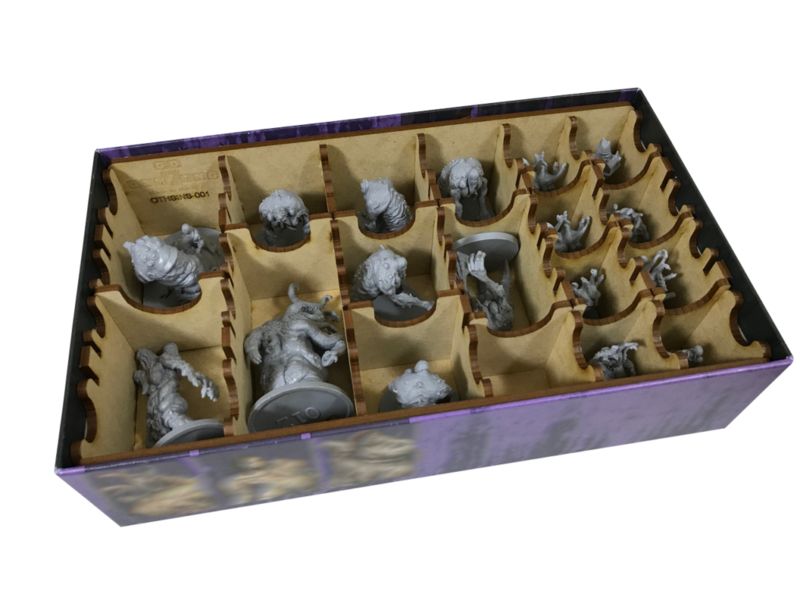 Last but not least was the “Apocalypse box” organizer. 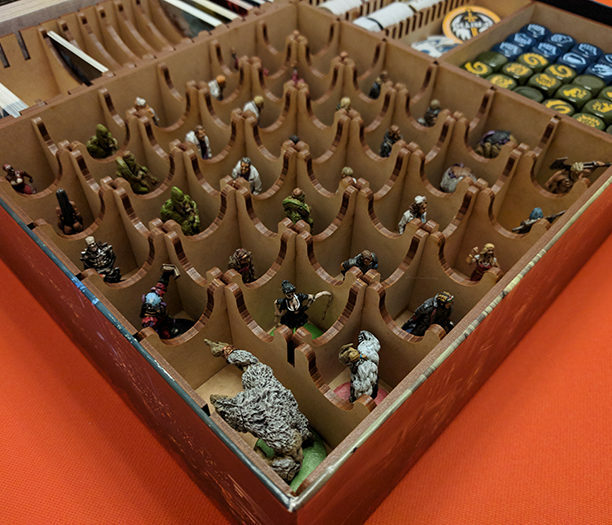 Not only does it have ample room for the over-sized “Apocalypse” miniatures, but there’s so much room leftover it can used as an “overflow” for any of the other miniatures you may have. 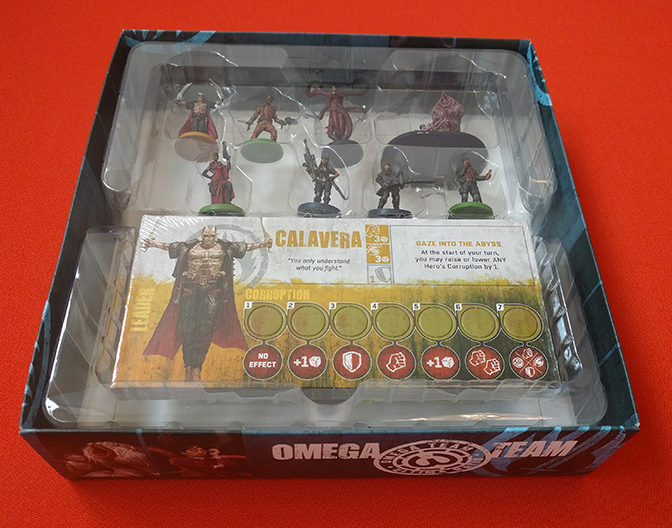 I used this to fit the contents of the “Apocalypse Extras”, “Men of Faith”, and “Sons of Ragnarok” boxes, as well as a couple of extra minis that didn’t seem to quite fit anywhere else. 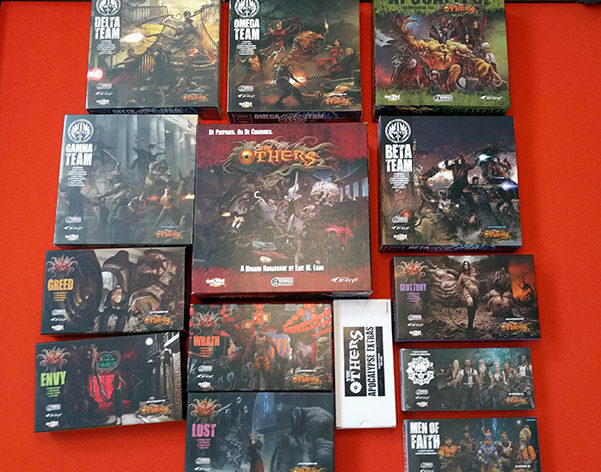 Apocalypse Contents Organized - SO MUCH Extra Space! 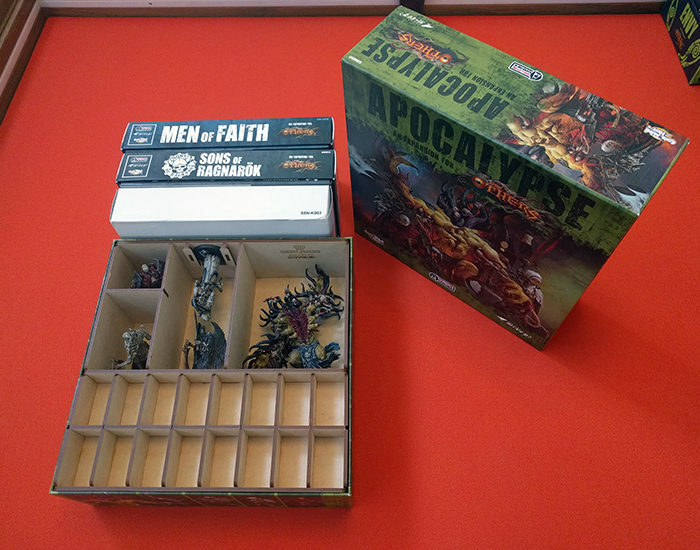 Apocalypse Box, Small Box, and Misc Components - Extra Room Left Over! 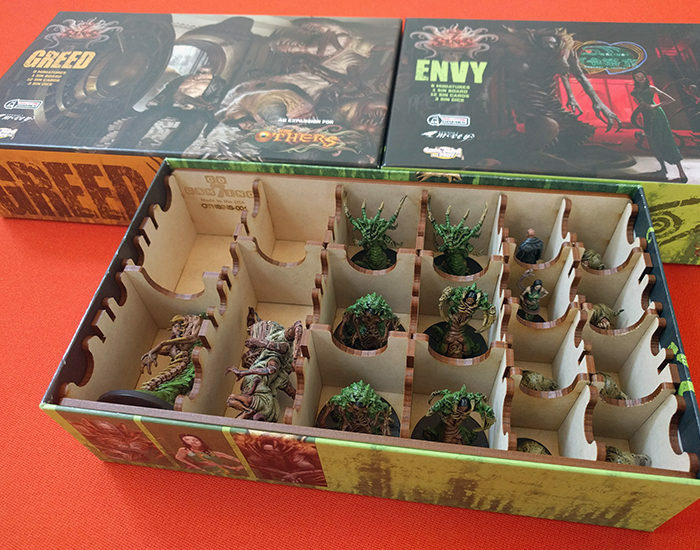 Using these inserts I was able to reduce The Others: 7 Sins from 14 boxes down to just 6 of them! More importantly it all fits on a single Kallax shelf now, leaving room for a few other gems. If you’re looking to reduce your Others footprint, I would definitely recommend picking these up. 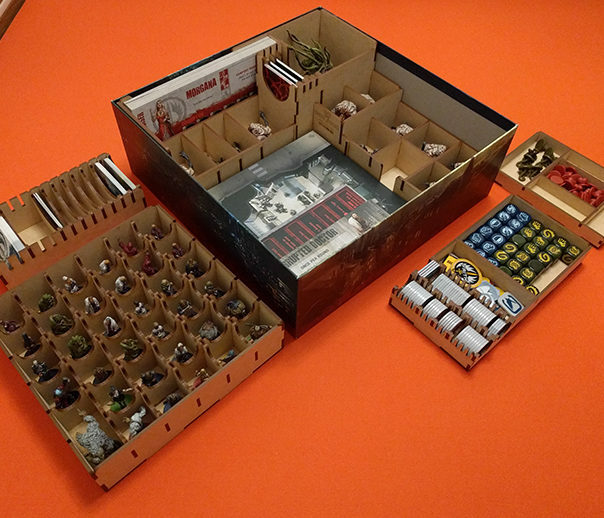 For myself, the “Base” organizer and the “Apocalypse” organizers are a must have. 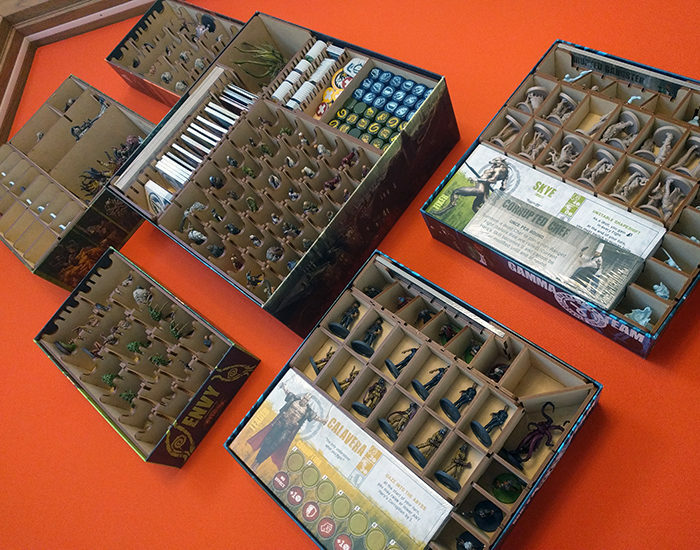 From there, one could easily mix/match the inserts in multiple ways to custom fit their collection. The "Remains" - All the Boxes and Trays No Longer Needed! 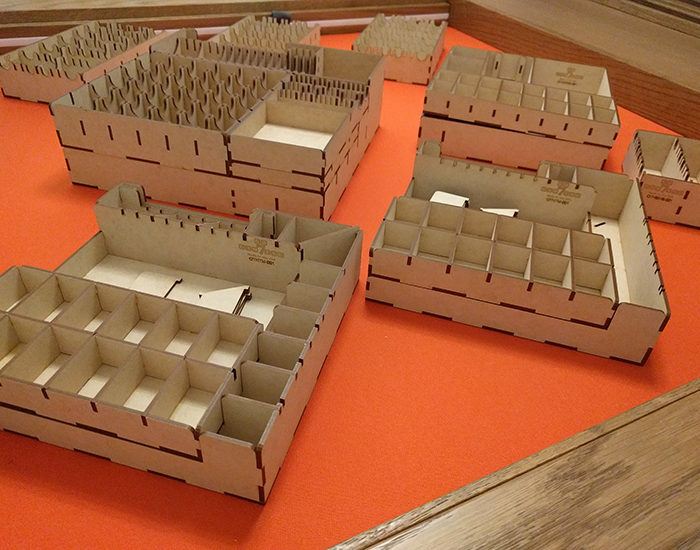 All 14 Original Boxes Neatly Organized Down Into 6 Boxes! 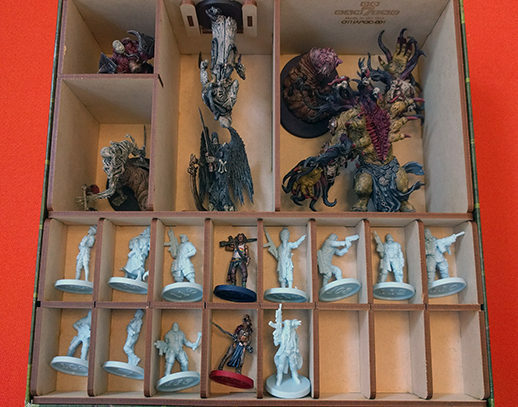 Storage Space Cut in Half, Creating Enough Room for Massive Darkness, The Godfather, and Lorenzo!